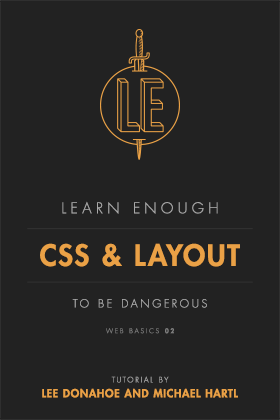 The Learn Enough CSS & Layout to Be Dangerous book and video series take you from a blank page to a fully deployed, beautifully designed, professional-grade website over the course of ten hands-on chapters. The essential topics are Cascading Style Sheets (CSS), the design language of the web, and the crucial but often neglected subject of page layout. Learn Enough CSS & Layout to Be Dangerous is perfect for anyone who wants to publish on the Web, and it's also a great companion to full-stack web development (as covered by the Ruby on Rails Tutorial). When you upgrade your purchase to add the premium screencasts for the Learn Enough CSS & Layouts tutorial, you'll get 14 hours worth of screencast videos narrated by authors Lee Donahoe and Michael Hartl in a conversation that walks you step-by-step through all the sections of the tutorial. You'll learn more about not just what you are doing, but also why.